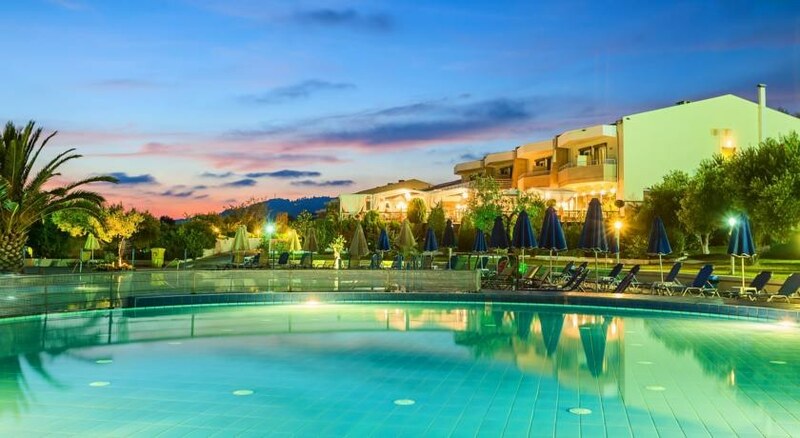 The Anastasia Resort Hotel is a luxurious hotel situated in Nea Skioni on the south western side of Kassandra. The hotel comprises of four two-floor buildings of unique design and placed in an olive grove of 30,000m2. This beachfront resort features a large pool, a wellness centre, a buffet restaurant and a poolside bar. The poolside bar is ideal for enjoying a refreshing drink or an evening cocktail. Guests can relax at the sauna, the hammamor pamper themselves with a massage session. A tennis court and a fitness room are also available for the more active ones. Rooms have air conditioning, hair dryer, safe box, refrigerator, satellite TV and Wi-Fi. Free private, on-site parking and frequent transfers to Nea Skioni are provided. Bus stop is in front of the hotel.